The Storage Box M is ideally suited for storing complete tabletop or board games, large armies and other vast miniature collections. 1. Select the desired Full-Size or Half-Size foam articles in our online shop. Note the article number, e.g. FS035BO. The first three digits in the article number indicate the height of the mat in millimeters. In our example the foam tray FS035BO is 35 mm high. Both Full-Size and Half-Size foam trays fit in the Storage Box M. Two Half-Size trays next to each other add up to a base area of one Full-Size tray. 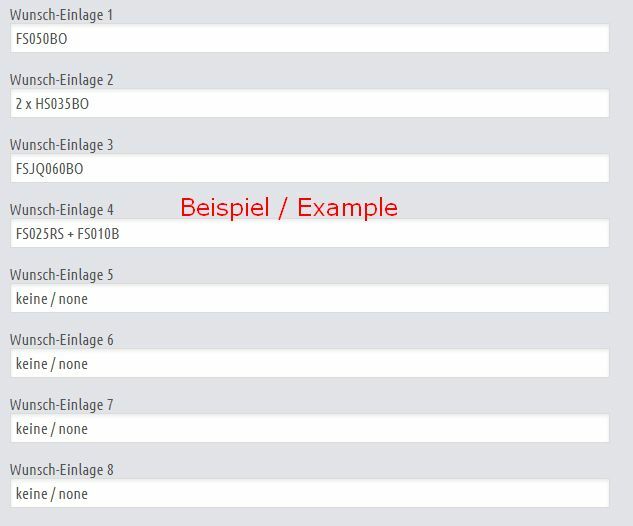 The size of the mats can be recognized by the first two letters of the article number (HS = Half-Size, FS=Full-Size). 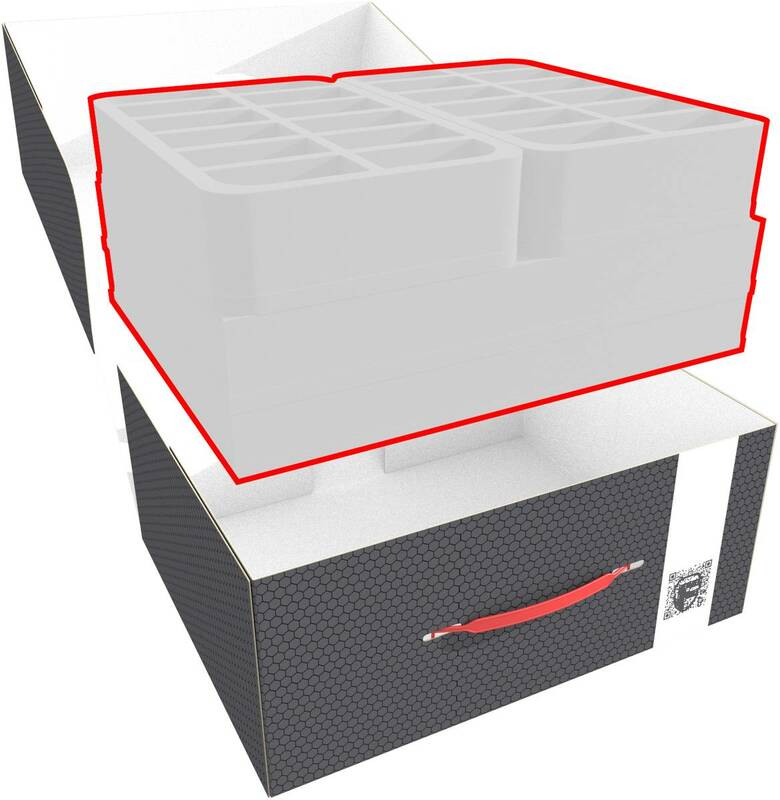 The indicated price applies to a Storage Box M filled with foam up to a maximum height of 150 mm. 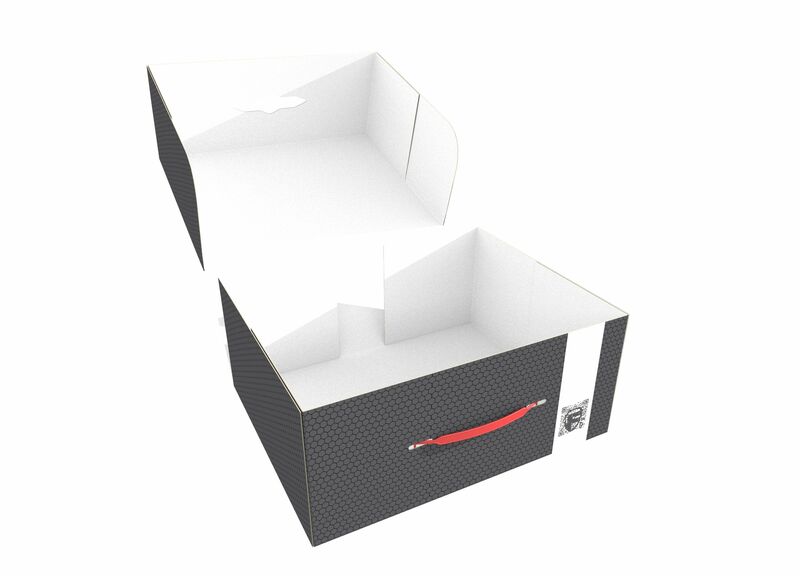 The Storage Box M is made of coated, double-walled cardboard. This makes it not only pleasantly light, but also particularly tear-resistant and stable. With the matching foam trays, miniatures and game material can be stored safely and dust-protected and can also be transported effortlessly with the plastic carrying handle. The boxes are delivered flatfolded. They are quickly folded and ready for use in just a few steps. With the matching foam trays this box is not only suitable for miniatures and game material, but also for computer components and accessories, electronics or photographic equipment. However you fill the case, the contents are always safe and conveniently packed.